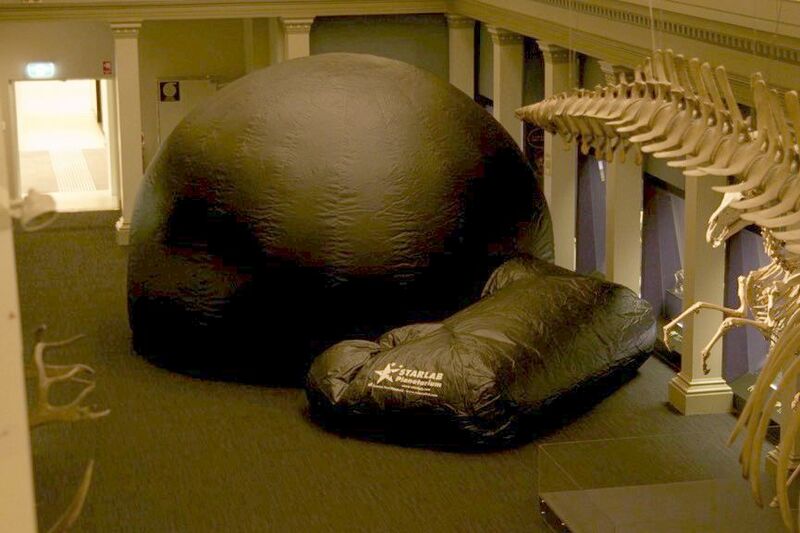 The Australian Museum was host to the annual Science Festival that is held over National Science Week. Activities are dedicated towards Primary Students (11 – 13 August), the Community (15 August) and Secondary Students (18 – 20 August). 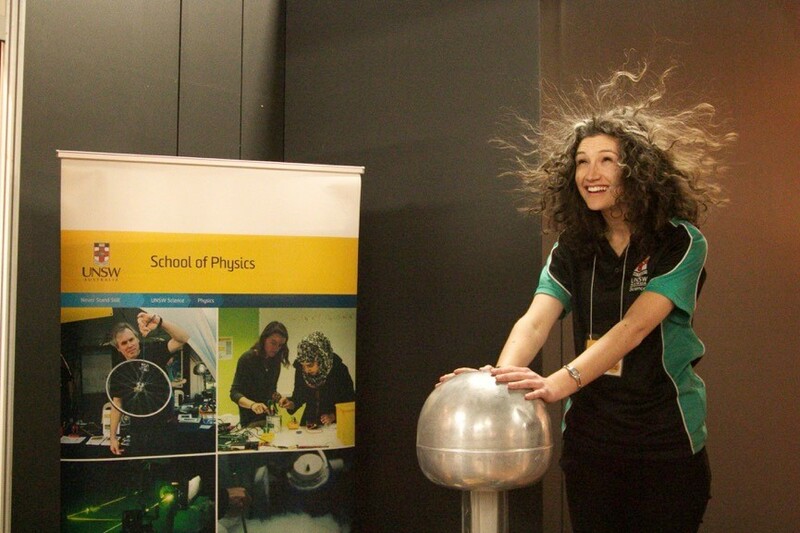 UNSW Physics were asked to deliver StarLab shows to primary school students and we requested to have a Physics Booth at the Expo to showcase and promote UNSW Physics and Science. We were placed in the Long Gallery (aka Skeletons Gallery), the oldest exhibit in the Museum. It was a great location but there was temptation for people from the public to roam around the dome in awe and they wondered if they could be let in. They couldn’t. 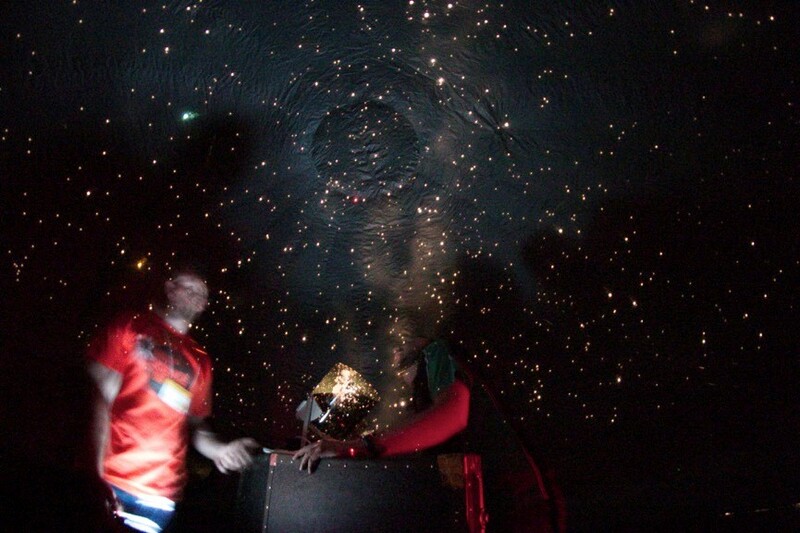 Shane presented 12 StarLab shows over the course of 3 days to a total 184 Primary School aged students. There was one miscommunication regarding the time of one of shows. As a result, Shane managed to set up the dome in record time – 7 minutes! The hands-on activities we had on the booth demonstrated a range of physics phenomenon including the Motor Effect, polarisation and electromagnetism. 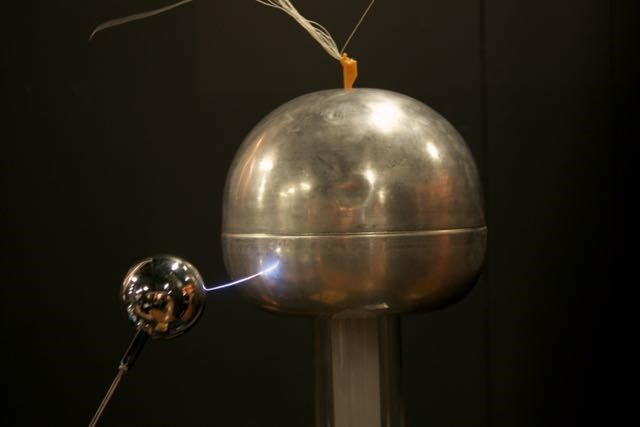 Our most popular interactive device is the ‘Van de Graaff generator’ which demonstrates electrostatics. 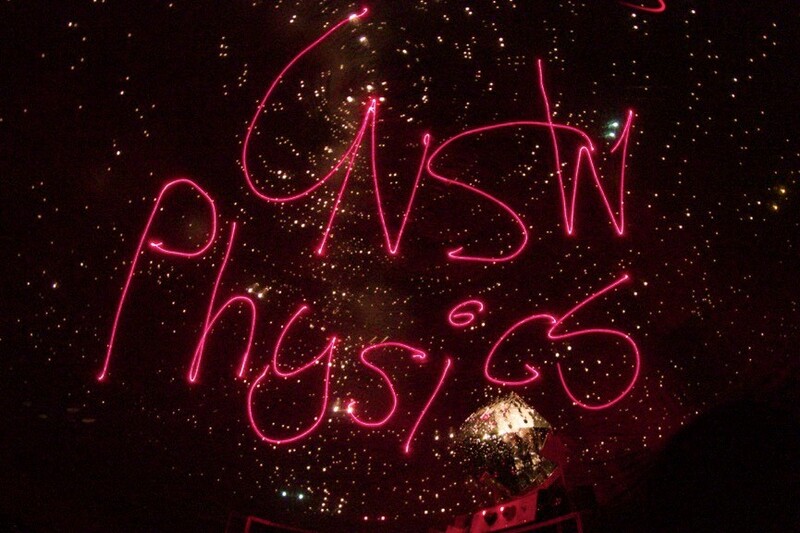 Due to extra volunteers, the staffing of the booth was very successful compared to previous years where UNSW Physics has been involved with the Expo. There were anywhere between 2 to 5 people for the booth. It was good to see both presenters and students alike to be enthused about Physics! Having Physics booth at the Expo is a great way to engage with a lot of school students and public. It presents an opportunity to interact with school teachers to promote our workshops and activities, such as the StarLab. 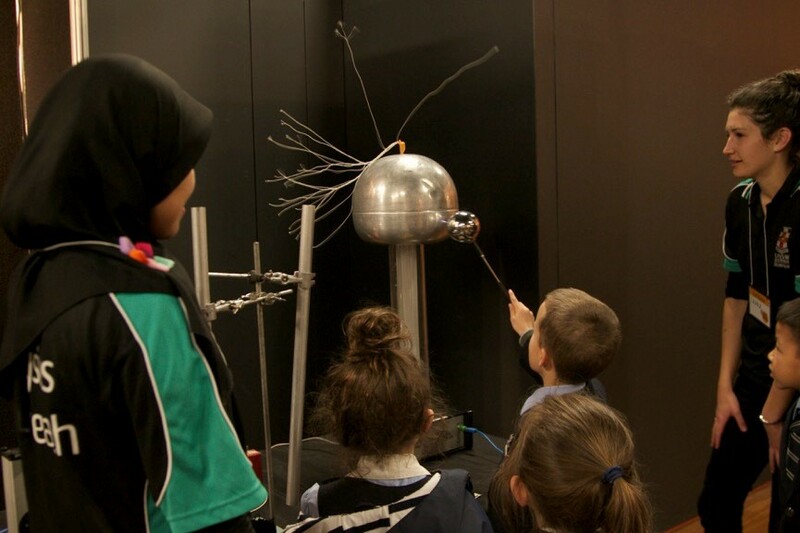 This entry was posted in Uncategorized and tagged Science Festival, UNSW Physics. Bookmark the permalink.